Let us know how we can help you play better golf, and get Golf Station Fit! The big cat is back! Get fit by those you can trust! I really love all the reviews we get, but this one is special. This one is from a friend of mine in North Carolina. 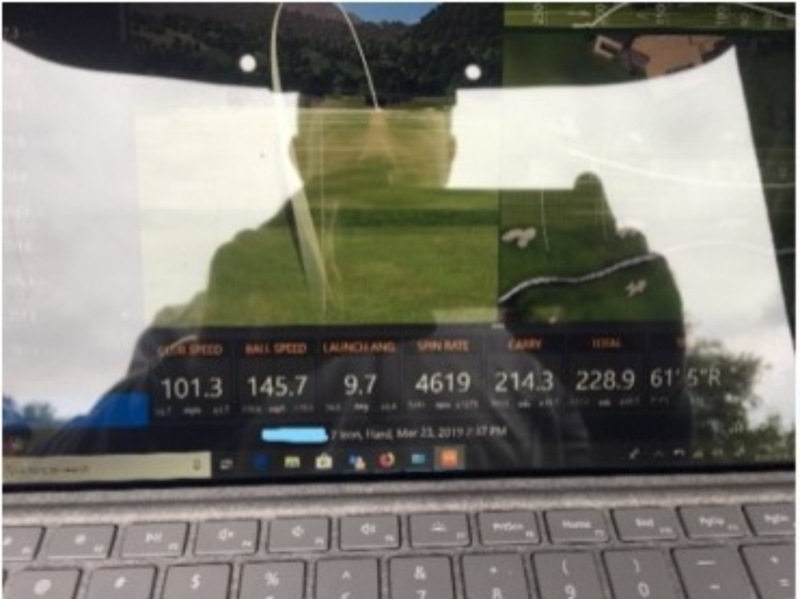 Read all about how The Golf Station changed his game: http://bit.ly/2W3pTQV I really love all the reviews we get, but this one is special. Can a mixed bag work for me? I heard from more than a few of you this week. Thank you! But I was taken to the woodshed! You wanted some detailed information on what I thought and what the options were for the genuinely average (and below) golfer. 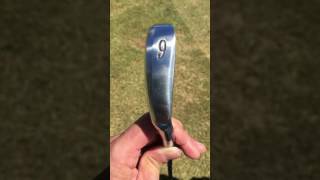 What ball to try, what irons to play, and what from Cobra did I think that was so head-turning. I get it, not everyone can use strictly game-improvement equipment. 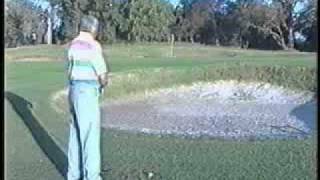 Some of us need a lot more help for the enjoyment of the game or at least look at mixing up the bag to make sure that folks like us can have some success on the course. The applicable word was “overwhelming.” I’ve now been to four PGA Merchandise Shows and it’s still overwhelming. Now, I will admit that it’s not like the first one where my eyes were as big as a dinner plate and I walked around like a tourist, but it’s still an experience to be sure. Vendor meetings, dinners, and golf. You know the golf you play trying to navigate a 182 yard Par 3 where you hit 3 wood into a 40 MPH wind…and come up 10 yards short. 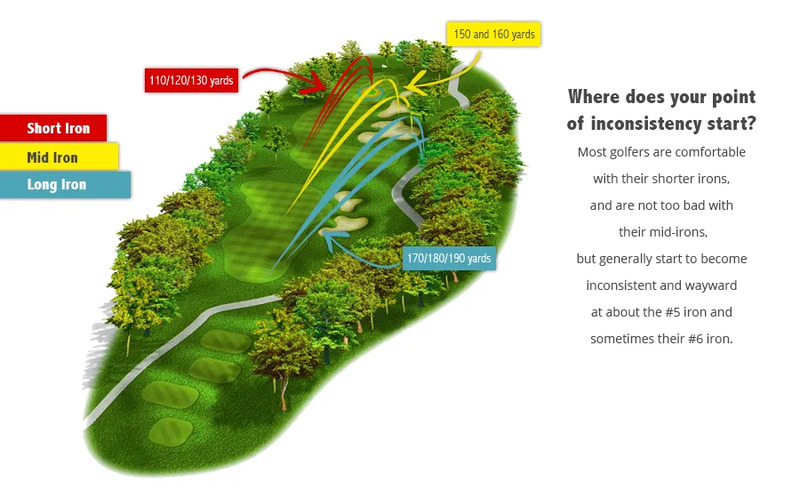 Or when a 7-iron from 100 yards gets knocked down like a bunt single. Yeah, those things actually happened. A new year that’s hopefully full of promise and lots of birdies. Many of us would just take par and run, including yours truly. If I could shoot 72 on my home course, I’d hold the biggest catered barbeque you’d ever see! Pecan Lodge, I’m looking directly at you. For the rest of newsletter click here: http://bit.ly/2CgDuvS A new year that’s hopefully full of promise and lots of birdies. Before you get busy with the Macy's Thanksgiving Day Parade, turkey and football, we want to remind you that The Golf Station will be open normal hours on Friday. We're offering a number of in store only specials and if you know us, they're going to be good. Give us a call at 817.595.4653 for more information. On behalf of the staff of The Golf Station, have a Happy Thanksgiving, watch some golf and Go Cowboys! Oh, we’re open regular hours on Black Friday! Come in for some special deals that we reserve for just this one day! http://bit.ly/2BoNgwX On behalf of the staff of The Golf Station, have a Happy Thanksgiving, watch some golf and Go Cowboys! Improve your body. Improve your game! One of the best things we get to do is take some of our loyal customers to places they would never otherwise get to go. A few years ago, Tim took a wide-eyed guy (yours truly). I was overwhelmed. Now, when we go, it’s no big deal and I walk in because I know what to expect and know what we have to do for the next 48 hours. Where would we be without our shafts? 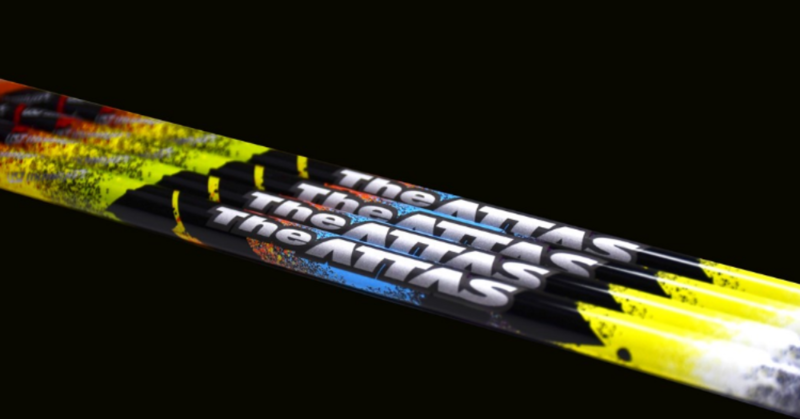 We’re still getting in a ton of inquiries about shafts. 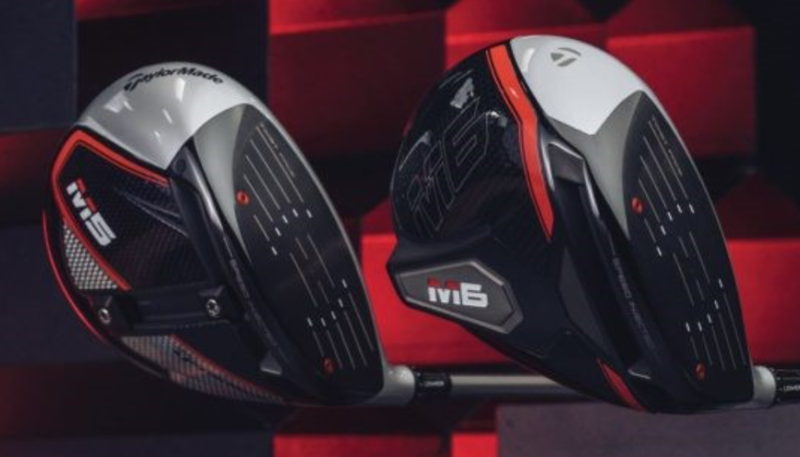 I dare think that people realize that while new clubs are fantastic (and they really are), the shaft makes the difference, all other things being equal. Throughout the day, we fit members for all sorts of clubs. Drivers, fairway woods, hybrids, irons, wedges. It is always enjoyable to see the looks on golfers faces who have never experienced the shaft technology that we have to offer. They can’t believe that a golf ball can launch that high and that far due to simply installing the correct shaft for them. Of course, all the equipment we carry is top notch, but it also has to be the right fit for every unique golfer. And what about Charles' fitting? Will your control come from Forged or Hot Metal? If we had a dollar for everyone looking for new equipment to fix something in their swings, we’d actually close the store most days. While many have the means to simply purchase a new bag and be on their way, we don’t operate in this way. Simply fitting you with a new bag is the easy way out. Your flaws are still there and we wouldn’t feel good about taking your hard-earned disposable income. When your game is great, you have more fun! With the woods and hybrids though, Titleist was the best fit. The brand new TS line is off the charts good. We’re frankly stunned how well they’re performing in testing and fittings. He will now be playing a TS2 Driver along with two TS2 Fairway Woods and two Titleist 818 Hybrids all with the Accra FX 2.0 shaft. Lastly, he was fit into a Scotty Cameron Futura Putter. So many people and facilities forget about the putter when it comes to fitting: It’s the one club you’re using on every hole and the one that can cost you, but also save you the most strokes. Some of our customers are hindered by their physical conditioning. Whether it’s age, injury or a combination of the two, we can help get you in shape. And as far as getting you in custom clubs that are suited for you and what you can do, well, we can take care of that too. Recently we’ve had some cool things happen in the store. 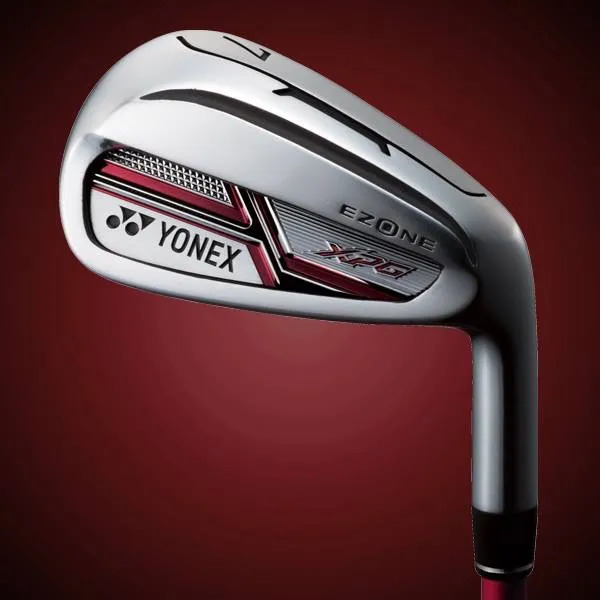 We’ve had a number of customers who have been fit for irons, and once they see how they perform on the course, they call us to come in and get fit for woods. And for us, it’s not about the sale. It’s really about the reaction we get every day when someone sees what a proper fitting can do for you. Swings aren't just luck they're science! But what about Bryson? It’s not the Hogan cap or even the Cobra One Length Clubs (which I’ll save for another day to talk about, though you’re free to tell us what you think now), but it’s his swing. His swing is amazingly simple. It’s not a one-plane, A-swing, or whatever you want to call it. It’s a swing based on science! (No real surprise there, to be honest). 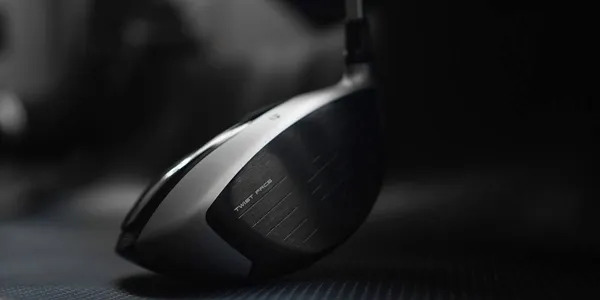 A month ago, we fit a customer into a PING G400 Max driver with an Accra FX 2.0 M1 shaft. Recently we spoke with a lady who frequently plays with her. They were slightly miffed as (according to them) she used to be the shortest driver in the group. But after her fitting, she had turned into the longest driver in the group! Congrats on your personal best Laney! Laney went out and played a practice round and shot an 87. The next day in her first round she shot a 91. Due to inclement weather, the second round was delayed. When play resumed the next day, she played the round of her young life and shot a 77. Well Laney Hall made it to Pinehurst. Lucky girl! She’s competing in the US Kids Golf World Championship this weekend. Good luck young lady! Enjoy the experience and remember to have fun! Read further here: http://bit.ly/2vA5A1Q Well Laney Hall made it to Pinehurst. Lucky girl! We can give you a Tour Quality Fit! Was Phil right or wrong? One 3 day Junior Camp - limited spots available. Sign up now! Good luck Laney, we're rooting for you! This Friday, November 24, 2017, otherwise known as Black Friday, The Golf Station will be holding a sale on almost everything in the store! For ONE DAY only, all apparel, soft goods and accessories will be 15% off (excluding golf balls) and all clubs will be 10% off (excluding PING). Remember, this is for ONE DAY only. 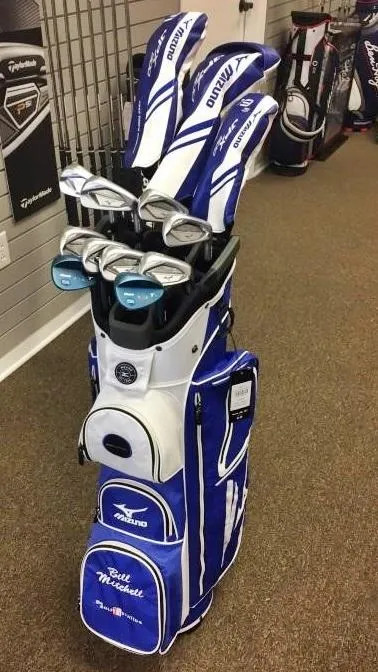 Now is the time to come get that new set of clubs you've been eyeing and begging your significant other for! Our store hours are from 10:00-6:00 on Friday. Bring in a friend or be selfish and treat yourself! This Friday, November 24, 2017, otherwise known as Black Friday, The Golf Station will be holding a sale on almost everything in the store! 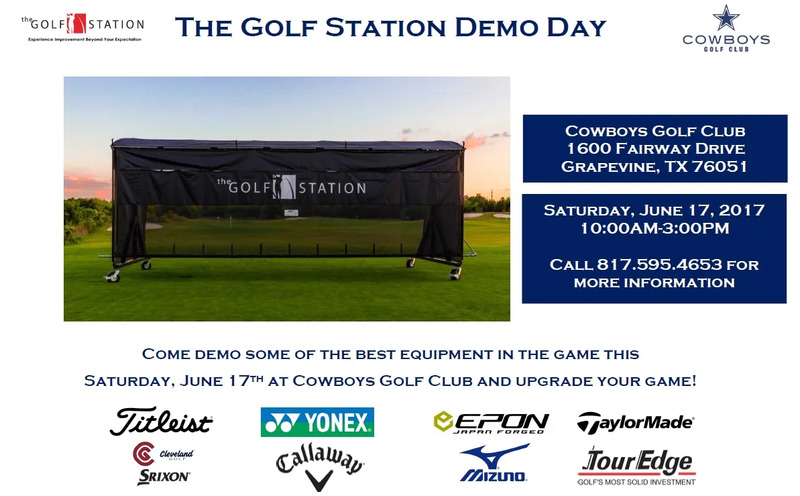 Come demo some of the best equipment in the game tomorrow, Saturday, June 17th at the Cowboys Golf Club and upgrade your game! From 10AM - 3PM Come demo some of the best equipment in the game tomorrow, Saturday, June 17th at the Cowboys Golf Club and upgrade your game! Let us help you perform and play your best! Weekly Update for Week 43, Friday October 20. 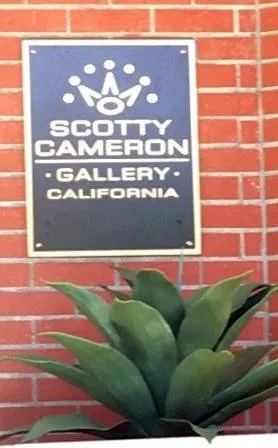 Tim goes to visit Scotty Cameron! https://bit.ly/GOLFSTATIONWk43 Weekly Update for Week 43, Friday October 20. Weekly Update for Week 42, Friday October 14. Check out the video from the late Tom Tomasello. 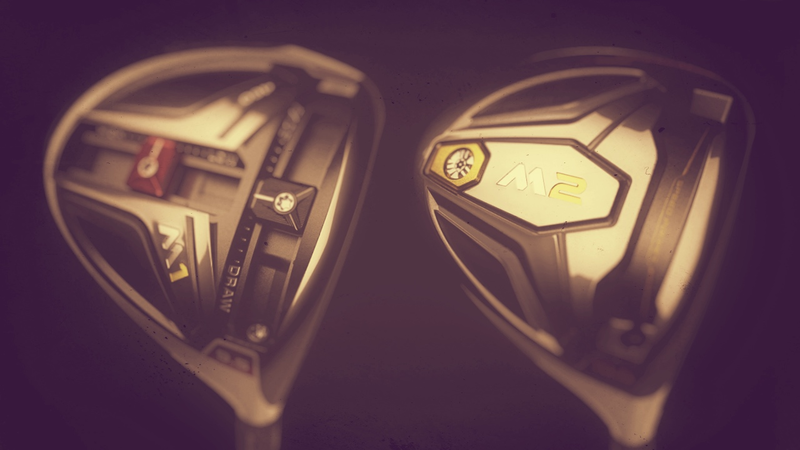 http://bit.ly/GOLFSTATIONWk42 Weekly Update for Week 42, Friday October 14. Check out the video from the late Tom Tomasello. Make golf inspiring to more youngsters! Weekly Update from Friday, September 30. Congrats to Bill Mitchell! https://bit.ly/GOLFSTATIONWk40 Weekly Update from Friday, September 30. Congrats to Bill Mitchell! I keep the palm of my right hand behind and under my left palm. I try to keep this all the way through the shot. That pops the ball up high. The only thing I need to gauge is how hard to hit it. If I hit it soft, I’m closer to the green with some obstacle. If I’m hitting it harder, I’m farther away, still with some obstacle. There is probably better another option when I get farther away, but I’m practicing and trying to get that down with my lob wedge. I’ll get there. But get yourself to The Golf Station for a lesson. Trust me, it’ll be better than practicing what I’m supposed to be doing.